​​STEPHENVILLE – Texas A&M University System’s Board of Regents approved the final budget and construction for a new engineering building at Stephenville’s Tarleton State University. Groundbreaking is set for March 31, 2017. Originally referred to as the applied sciences building, the $54 million project will provide laboratory, classroom and administrative space to Tarleton’s Stephenville campus. 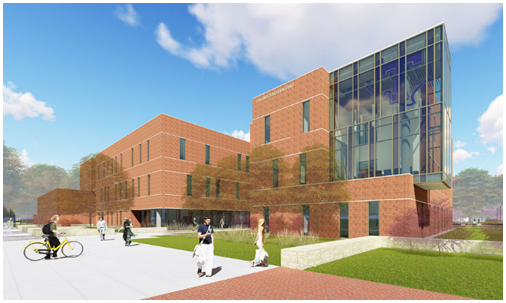 The building will provide space for many of the programs currently housed in the university’s existing Engineering Technology and Hydrology/Engineering buildings, including the civil engineering, electrical engineering and newly approved mechanical engineering programs. The building will have heavy-use and high bay labs—with main corridors wide enough to move materials and equipment by forklift—classrooms and offices will be found on the first floor of new three-story facility. Innovative classrooms, a robotics lab, a prototyping lab, a fluids and materials testing lab including a flume and wind tunnel, computer labs and offices will be located on the upper floors.